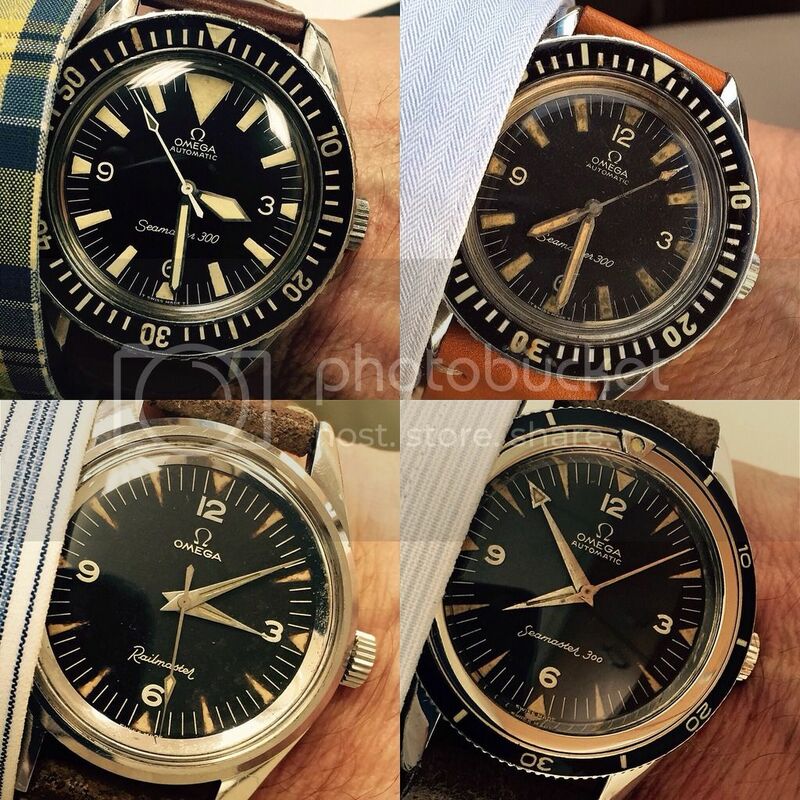 TimeZone : Omega » Some vintage Omega Seamasters. The previous post spurred me to share some vintage Seamsters that I have recently taken a liking to. The first Omega Seamaster (ref 2913) came out out in 1957. 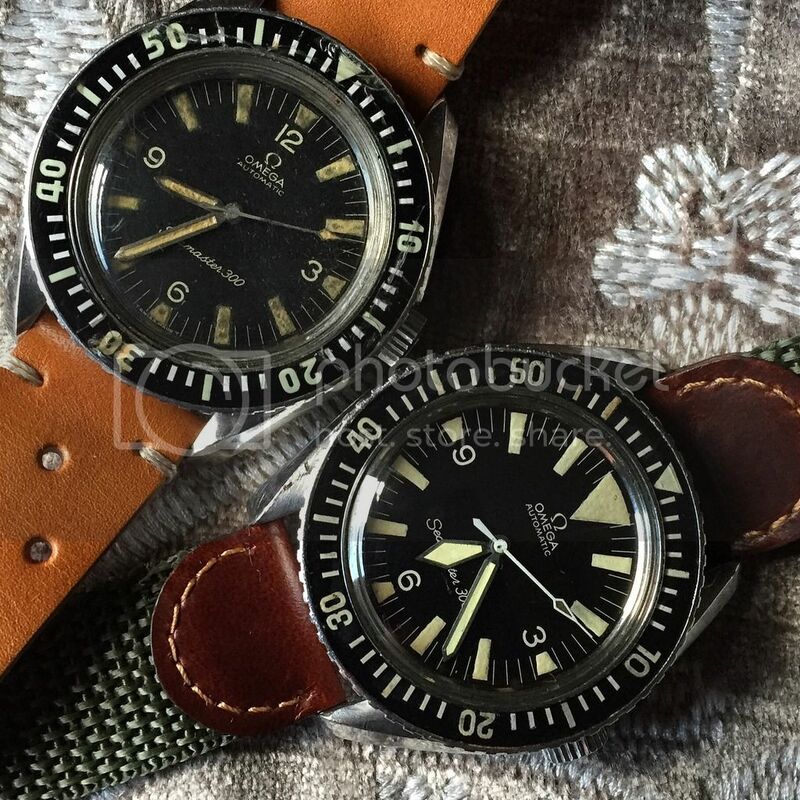 While I don't yet own one of those, I do own a 14755 (on the left), a second iteration Seamaster 300 with a a cal. 552 automatic movement. This one is circa 1961-62). It has an arrow minute hand as opposed to the original 2913 whcih had an arrow hour hand. On it's right is a close cousin, the Railmaster (ref2914, later 135.004). This railmaster has a manual wind cal 286 and is circa 1963. But, the railmaster also first appeared in 1957 (A very good year for Omega. 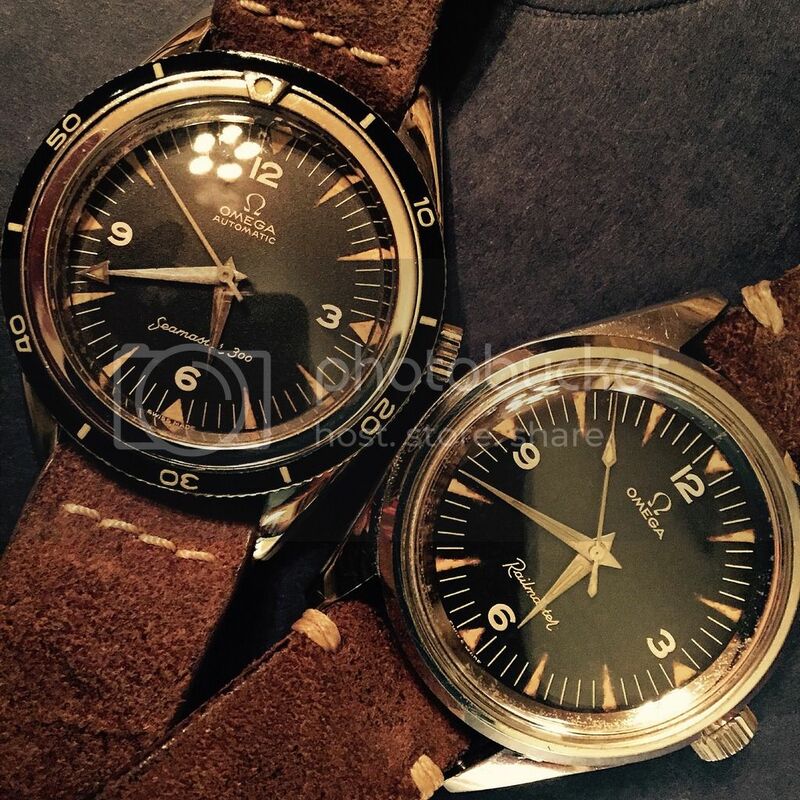 The next very collectible iteration of the seamaster 300 was the 165.024 (no date) and the 166.024 (with date). These, I feel are some of the most beuatiful Omega's. On the left is one with straight hands from 1966 with a cal552 automatic movement. On the right is another 165.024 from 1967 with sword hour hand. This one is known as the Big Triangle and is significantly less common than the non BT. These seamasters were closely related to the Speedmasters that also first came out in 1957. Both lines share similar case designs. Well, finally a group shot. Previous Topic: Seamaster 300 Master Co-Axial or Planet Ocean 39.5? Next Topic: New Vintage Arrival!